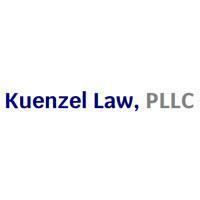 For personal injury claims, criminal charges and family law matters, turn to Kuenzel Law, PLLC. Based in Chapmanville, our law firm is dedicated to providing quality representation to individuals and families throughout southern West Virginia. Our personal injury practice includes representation for claims related to car, truck and motorcycle accidents, tractor-trailer crashes, coal truck and mining accidents, wrongful death and serious injury cases. For family law, we can assist with most legal matters, particularly pertaining to divorce, child custody, visitation and adoption. We also can defend clients against all types of criminal charges, including DUI, drug offenses, theft and violent crimes. Prior to becoming an attorney in 2001, Robert B. Kuenzel served nearly 10 years as a trooper with the West Virginia State Police. His past experience in law enforcement provides him additional skill and insight when reviewing accident reports for personal injury claims or working toward favorable outcomes to criminal charges. Mr. Kuenzel also is a seasoned litigator who has been named among the Top 100 National Trial Lawyers. At Kuenzel Law, PLLC, you will receive superior legal services paired with a high level of personal attention. Mr. Kuenzel will be deeply involved with your case at every step, ensuring you obtain the best possible results to your legal issue. Contact us today to discuss your legal matter. Free consultations are offered for personal injury claims, and we accept all major credit cards.